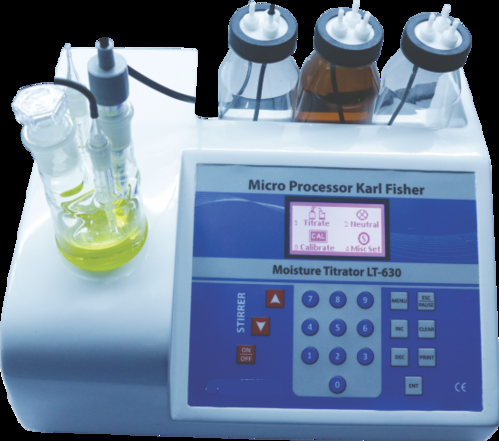 Microprocessor K. F. Moisture Titrator (Graphical Display) with a built‐in magnetic stirrer, Auto computation of moisture in ppm,% age and mg H2 O., Simultaneous display of results in all three units, 1000 sample storage facility with batch no. The final result is flashed on 128*64 premium graphical LCD. Icon-based Menu for easy navigation.K.F reagent dispensing by the motor.